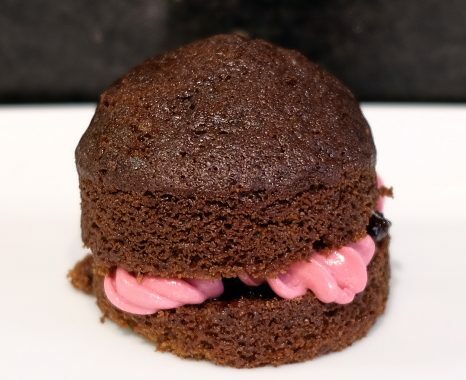 A delicious vegan chocolate, liquorice and blackcurrant mini Victoria Sandwiches. Make the vegan egg by mixing together 1 ground tablespoons of linseeds with 3 tablespoons of water. Stir until it starts to thicken up about 3 minutes. 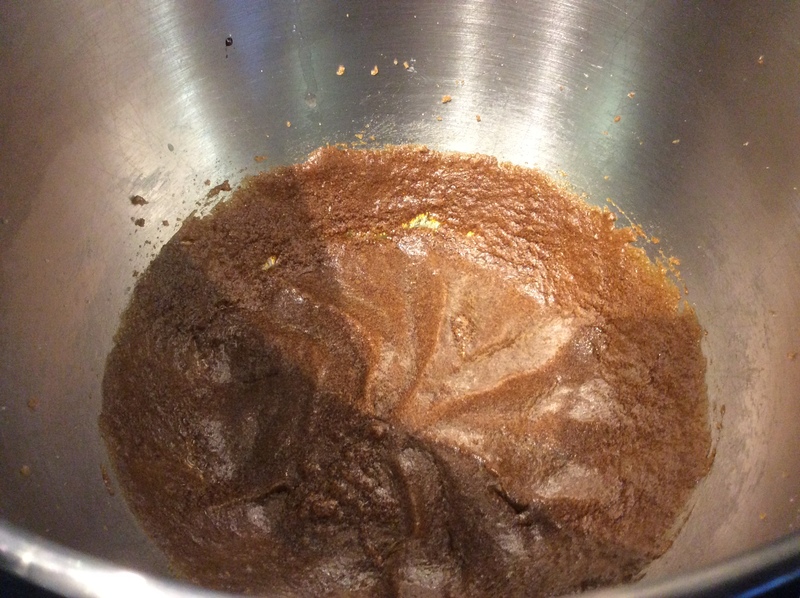 In a large bowl mix together the margarine, sugars, liquorice syrup and the vegan egg. 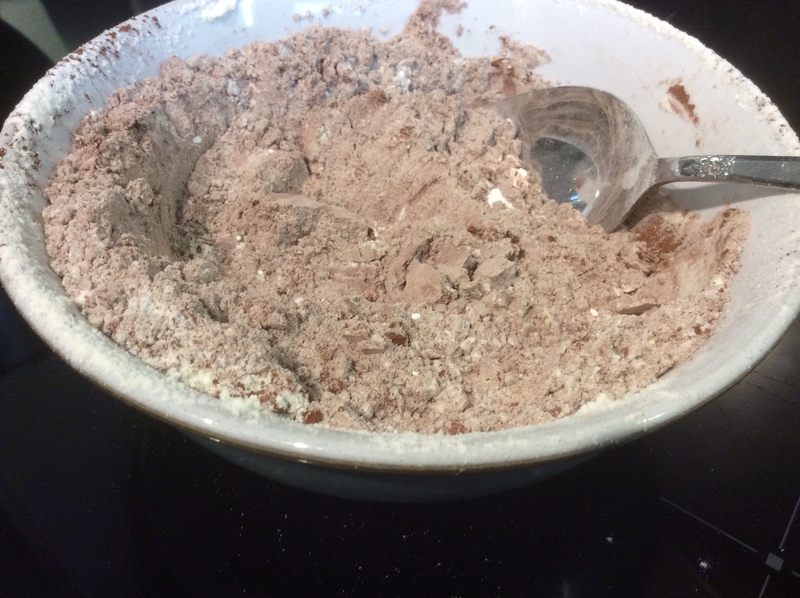 In a separate bowl measure out the dry ingredients (cocoa, flour, salt and baking power) and mix together. Preheat the oven to fan 170 degrees centigrade. 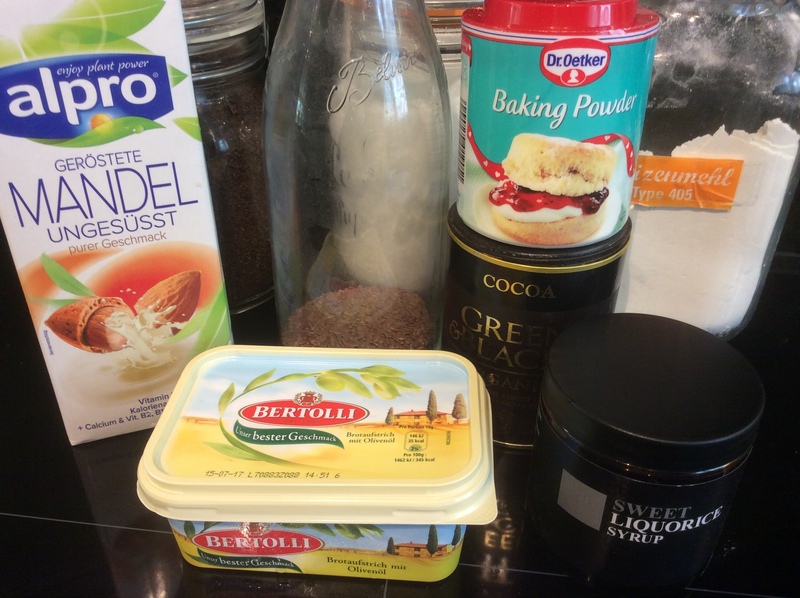 Gradually mix in the dry ingredients and almond milk in with the rest of the ingredients until it is just combined. 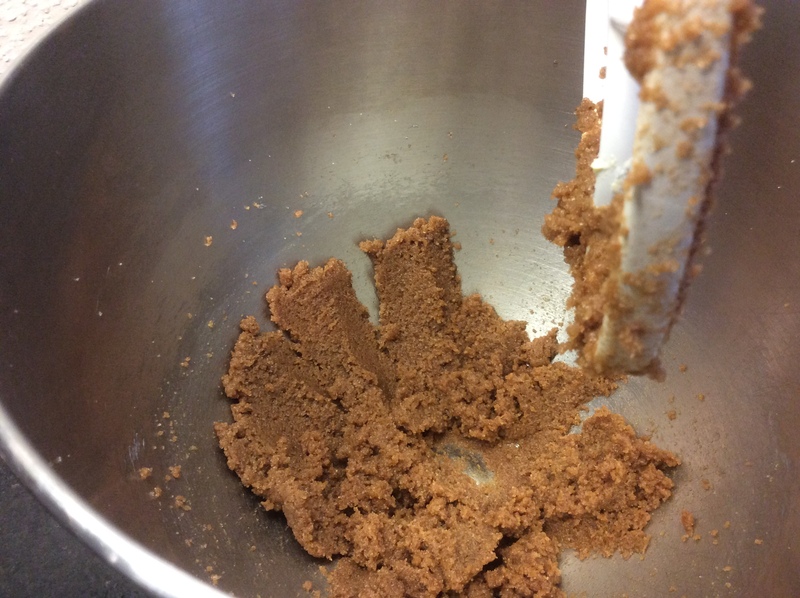 Don't over mix as this makes tough cakes. 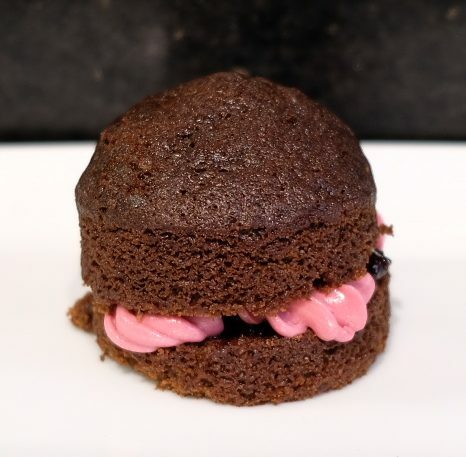 Lightly grease the mini sandwich cake tin with a little oil or use cup cake cases instead. 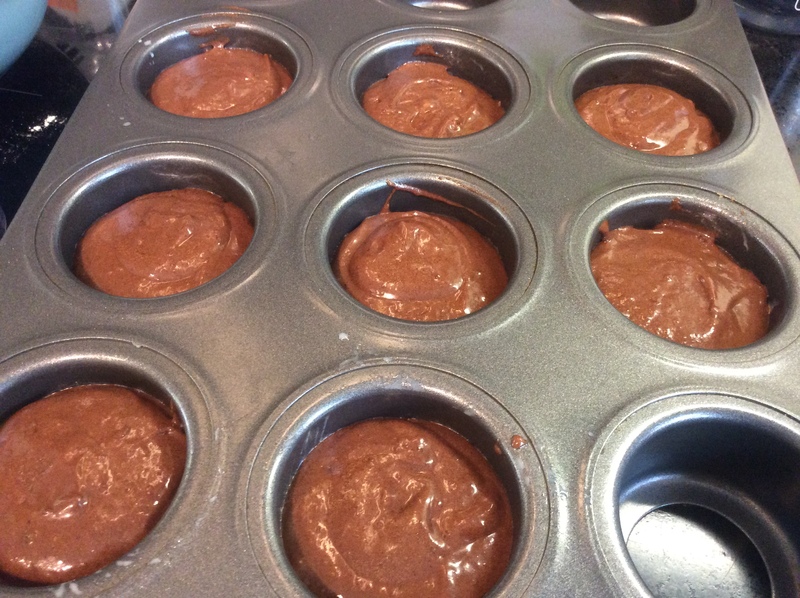 Spoon the mixture evenly into 8 cakes. Bake the cakes for approximately 25 minutes. 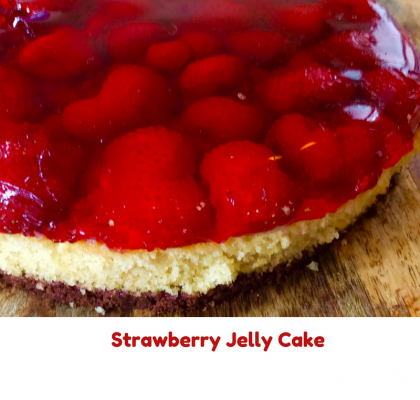 When they are ready a skewer should come out of the cake cleanly. 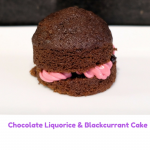 Mix together the softened margarine, icing sugar and blackcurrant syrup. Cut the cakes in half. Spread the bottom half with blackcurrant jam if you would like to use some. Pipe in some of the icing and then add the top of the cake. Alternatively just pipe some icing on top of the cake. 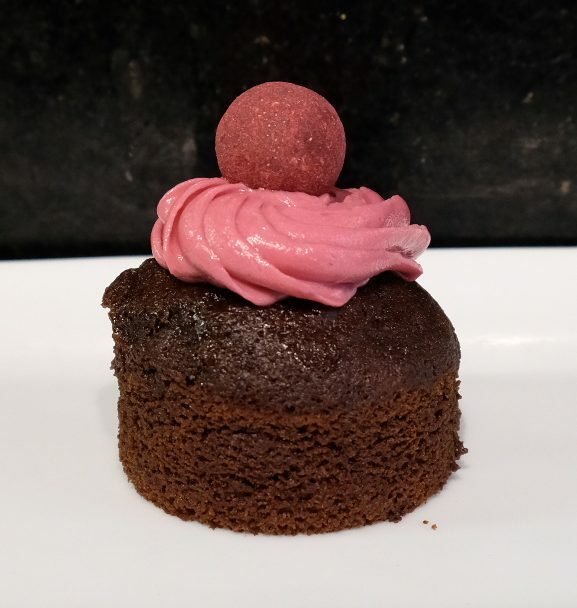 These Chocolate Liquorice and Blackcurrant cakes are yummy and are vegan friendly. It you can’t get hold of blackcurrant syrup and jam you could use raspberry syrup instead. Eggs are replaced by ground linseeds, butter with margarine and milk with almond milk. 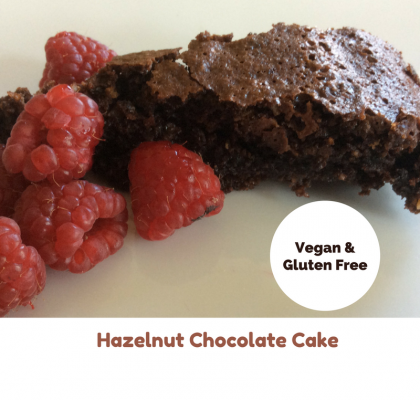 Use the best quality cocoa powder you can, my favourite is Green and Blacks. 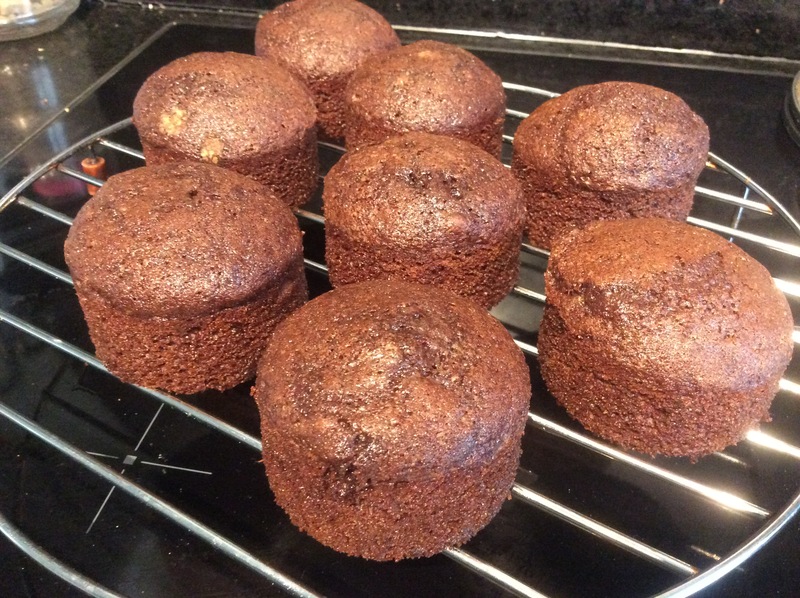 The quantities I have given here make enough for 8 cup cakes if you need more simply double everything. I have cooked the cakes in a special cake tin from Lakeland which enables you to make mini Victoria Sandwiches. 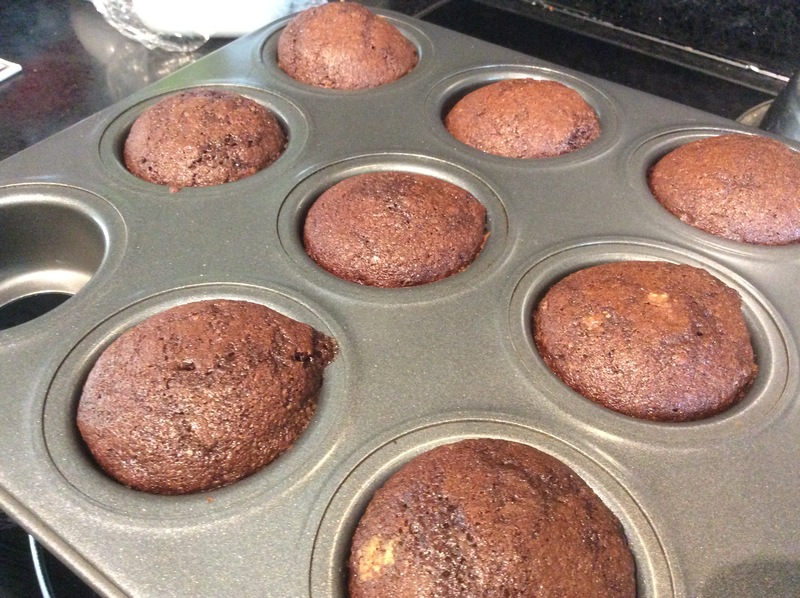 If you don’t want to invest in one of these you can simply use cup cake cases and a cup cake tin instead. I was inspired by new favourite treat shop Lakrids by Johan Buelow. If you can’t get to one of their shops they have a great online store. 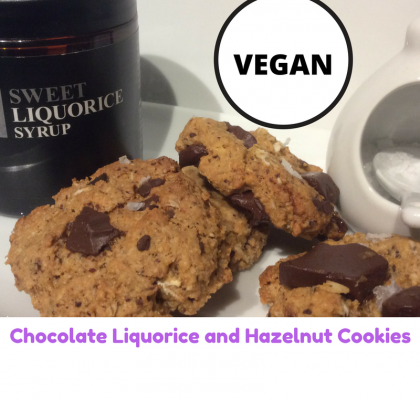 Their original liquorice balls aren’t vegan friendly but I have used the sweet liquorice syrup in this recipe. If you aren’t strictly vegan here is a different variation with one of Johan Buelow’s yummy Love Liquorice balls on it.